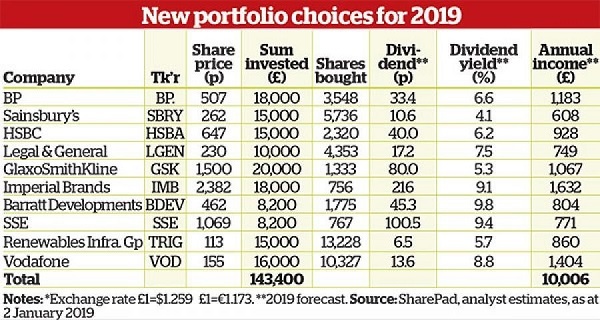 These annual portfolios consistently hit their £10K income target. Here are this year's 10 star stocks. In 2018, nine of the 10 portfolio constituents ended the year lower, and many by more than the 12.5% decline suffered by the FTSE 100 index, which had its worst year since the 2008 credit crunch. Vodafone (LSE:VOD) generated great income, but the share price fell by 35%, while Lloyds Banking Group (LSE:LLOY) spent its spare cash on share buybacks rather than a special dividend. Domestic banks remained out of favour, too, and the shares slumped badly. We wanted a 6.3% yield in 2018, but ended up with 5.8%, equivalent to £9,339. That's not bad, but our portfolio fell by over £32,000, or 20% in value. To illustrate where the real damage was done, if you'd stopped the clock at the end of the third quarter, the annual loss would have been a more modest £14,000, amounting to an 8.9% decline. Marks & Spencer (LSE:MKS) did as we asked and paid a good dividend, but the stock is down 22%, and savage conditions across the retail sector could offset any benefits from a long-awaited turnaround. Investing heavily in GlaxoSmithKline (LSE:GSK) also proved a wise choice, as it became our star performer of the past 12 months. The drugs major was the only portfolio constituent to post a gain – up 10% – and also delivered on its promise to pay an 80p dividend for the year. Its agreement in December to break up the business over time, while also renewing a promise to keep the annual dividend unchanged in 2019, only reinforces our faith in Glaxo. 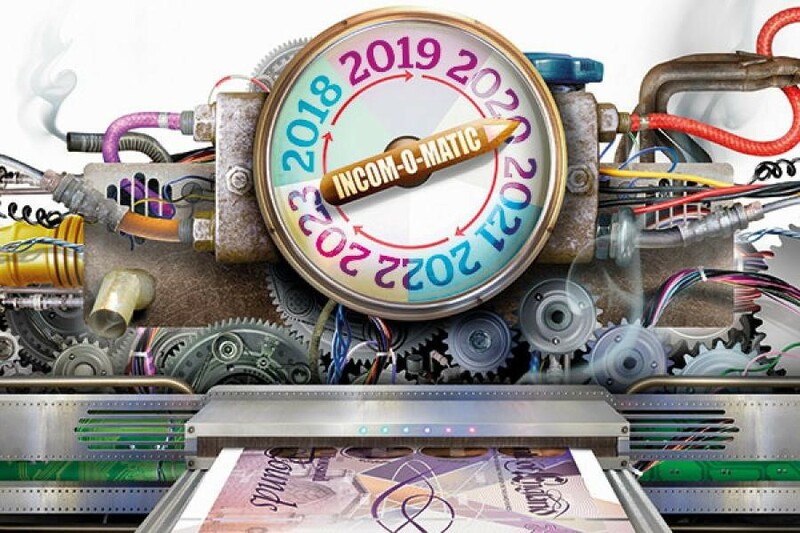 “If it ain’t broke, don’t fix it,” they say, so we’re keeping the biggest contributor to annual portfolio income in what is traditionally a defensive sector.